Christian Ragland and David Adewumi faced off for University Park Undergraduate Association (UPUA) president in March, 2010, marking the first time all candidates for the student government presidency were of African decent. 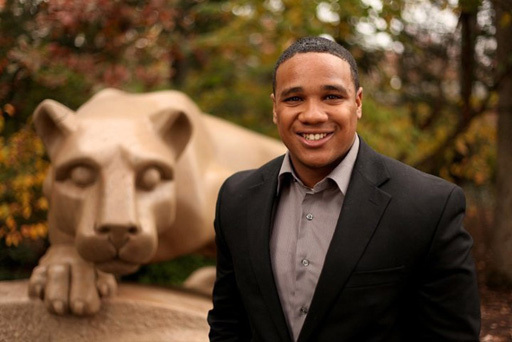 On March 31, Christian Ragland was elected, becoming the fourth African American president of the Penn State student government. During his time as president, Ragland advocated for the student body, using his resources to tackle issues like campus safety, tuition, diversity, alcohol, and town and gown issues. Ragland was active in student government before taking on the presidency serving as the Student Life & Diversity Chairman and twice as a UPUA Representative. Ragland is a native of Egg Harbor City, New Jersey and a graduate of Absegami High School. Ragland graduated from Penn State in 2011 with a degree in Political Science. He is pursuing a Master’s Degree in Public Administration from Walden University and taking on a new career as a Healthcare recruiter with Maxim Healthcare. With his master’s degree, Christian hopes to help numerous underdeveloped communities in the country gain the proper tools to be holders of great education systems, healthcare systems and social welfare institutions. Ragland will begin his law school journey after he completes his master’s program.